"A salt pool system will make your life easier, and your swimming a real pleasure. 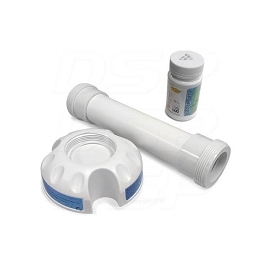 And this is the best part, they will save you money..."
The CORE-Series offers the easiest do-it-yourself friendly installation for salt chlorinator systems- an average 10-15 minutes! Most new pools are saltwater - if you still haven't made the switch, learn how easy it is to upgrade your pool in 3 easy steps. Exactly What is a Salt Pool? What's a saltwater pool? There is no more cost-effective way or efficient way to maintain your pool than with a pool salt system. We'll explain what it is, what it does, & why most new pools use salt! New to salt pools? What is different once you have one? We'll go over the basics of saltwater pools: what to look after, how to maintain a salt pool, and most importantly what to expect. Autopilot Pool Pilot® Digital Series Salt Chlorine Generators - "What's in the box?" See everything that is included in the box and what you should know when purchasing an Autopilot Digital salt system. CircuPool® SJ-Series Salt Chlorinators - "What's in the box?" See everything that is included in the box and what you should know when purchasing an CircuPool SJ-Series salt system. 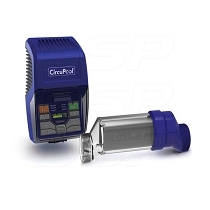 CircuPool® RJ-Series Salt Chlorinators - "What's in the box?" See everything that is included in the box and what you should know when purchasing an CircuPool RJ-Series salt system. CircuPool® Universal Series Saltwater Chlorinators - "What's in the box?" See everything that is included in the box and what you should know when purchasing an CircuPool Universal Series salt system. Pentair® Intellichlor Series Saltwater Chlorinators - "What's in the box?" See everything that is included in the box and what you should know when purchasing an Pentair Intellichlor salt system. Hayward® AquaRite Series Saltwater Chlorinators - "What's in the box?" See everything that is included in the box and what you should know when purchasing an Hayward Aqua Rite salt system.